These lions are the sitting lions made by Galle in 1878. They have been professionally restored. It is almost impossible to find a pair without restorations. I was lucky to find these. To find the couple and not just one. Many people ask me : Should there not be a clock? When you look in the books , there is no clock. 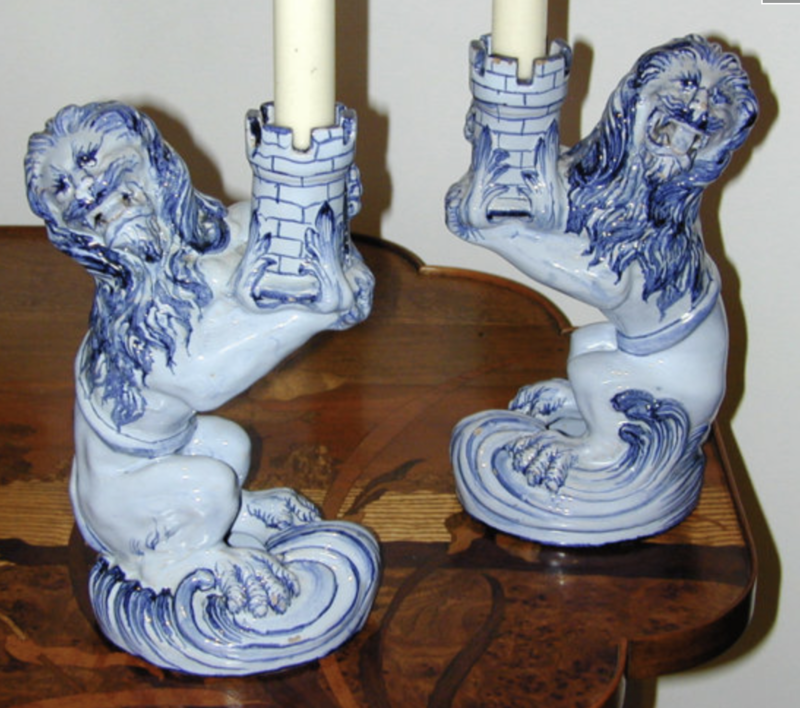 There are several different couples of these lions, standing or sitting, blue and white or more colours. It is a very good example of the early years of Galle.